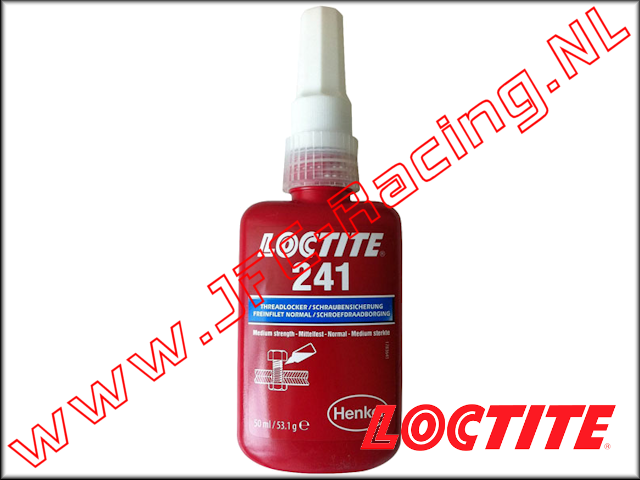 LOC-0241, Loctite 241 Threadlocker (Medium)(Blue)(50ml) 1pcs. LOCTITE 241 is a medium strength threadlocker for general use. This thread locker fastens and seals bolts, nuts and studs to prevent them from being released by vibration. The product is suitable for all metals, including passive materials such as stainless steel, aluminum and surface-treated materials. It has a proven tolerance for light pollution from industrial oils, such as engine oil, anti-corrosion oil and cutting oil. 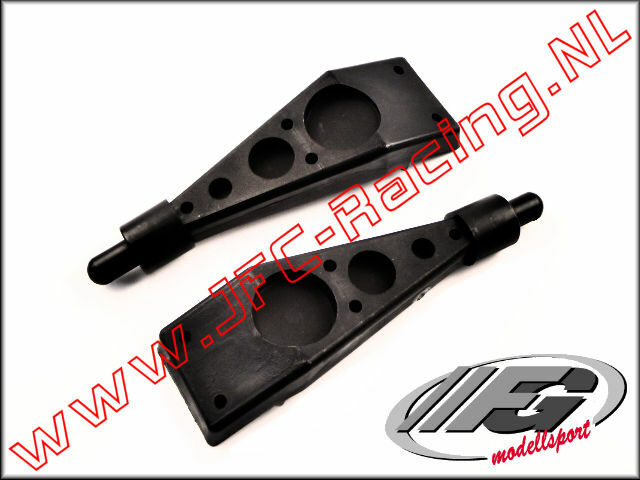 -Prevents the loosening of vibrating assemblies. -Suitable for all metals, including passive materials. -Proven tolerance for light pollution from industrial oils. -Disassembly with hand tools is possible for maintenance. 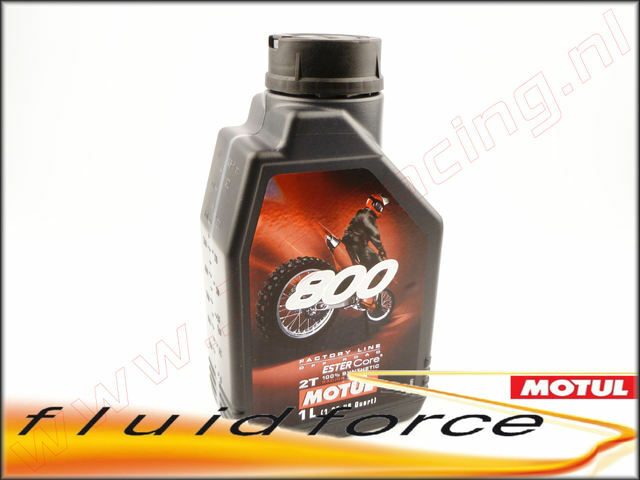 MO 104038, Motul 800 2T Factoty Line motor olie (Ester Core)(On/Off Road.) 1l.